© 2018 The Last Best Beef LLC. 8 0 0 - 4 7 3 - 0 6 0 1 G R E E N O U G H , M O N T A N A W W W . P A W S U P . C O M The ultimate reason to look forward to a Montana spring? We're kicking the season off with the Father of Southwest Cuisine—Chef Dean Fearing. The legendary Dallas chef will be adding some serious flavor to our annual Wine Weekend, along with renowned Opus One winemaker Michael Silacci. 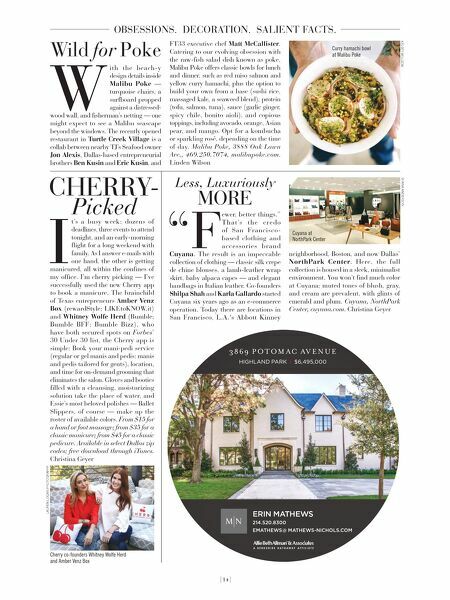 It's also a rare chance to attend both a Fearing cooking demo and an Opus One library wine tasting. The only way to improve this weekend would be to add a little scenic adventure. Trail riding, anyone? Don't miss this exclusive one-time-only pairing. Reserve your seat at the table today. 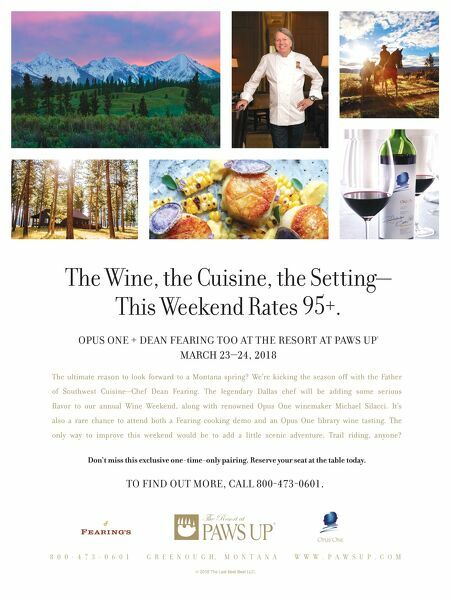 opus one + dean fearing too at the resort at paws up ® march 23–24, 2018 The Wine, the Cuisine, the Setting— This Weekend Rates 95 + . to find out more, call 800-473-0601.